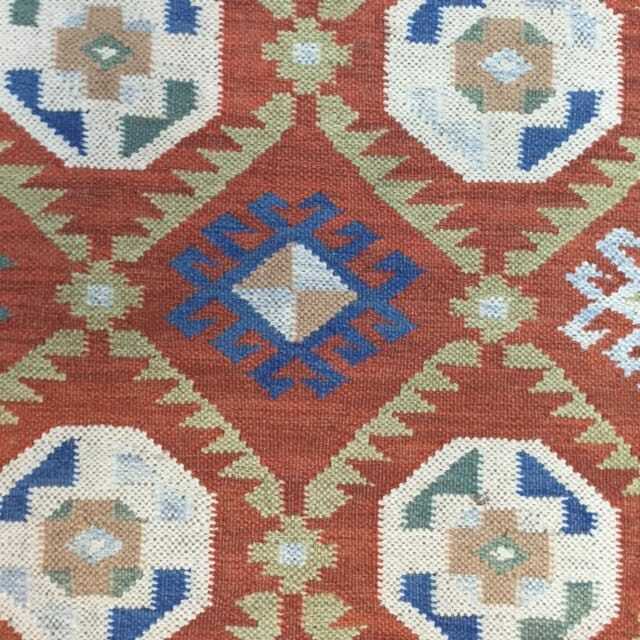 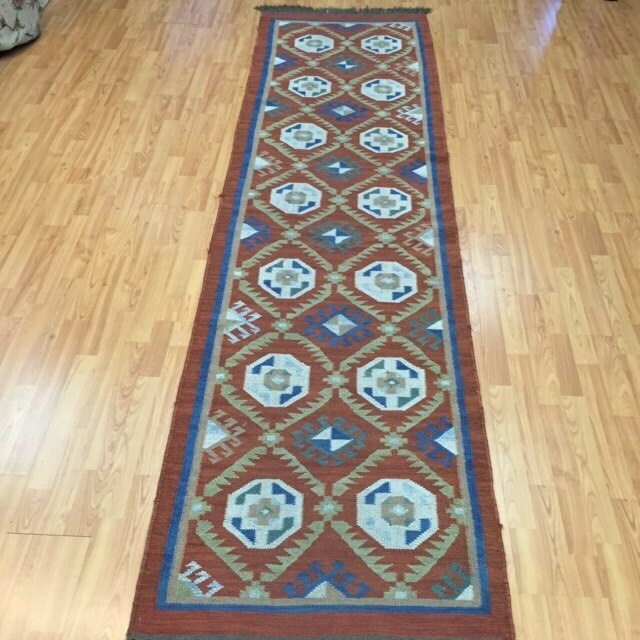 Actual Size: 2'7" x 9'7"
This beautiful rug is a 20 year old 2’7” x 9’7” Turkish Kilim. 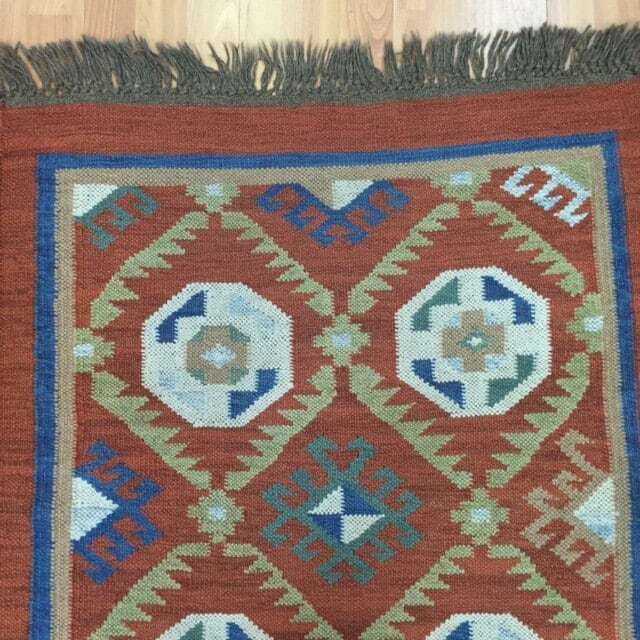 This hand made Turkish Kilim is two-sided and is made with 100% wool and is in good condition. 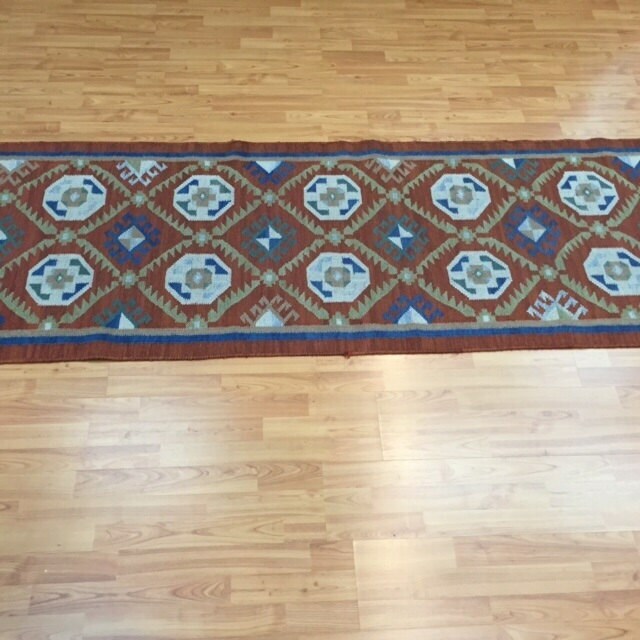 There are two rugs available, both are identical and are sold separately.